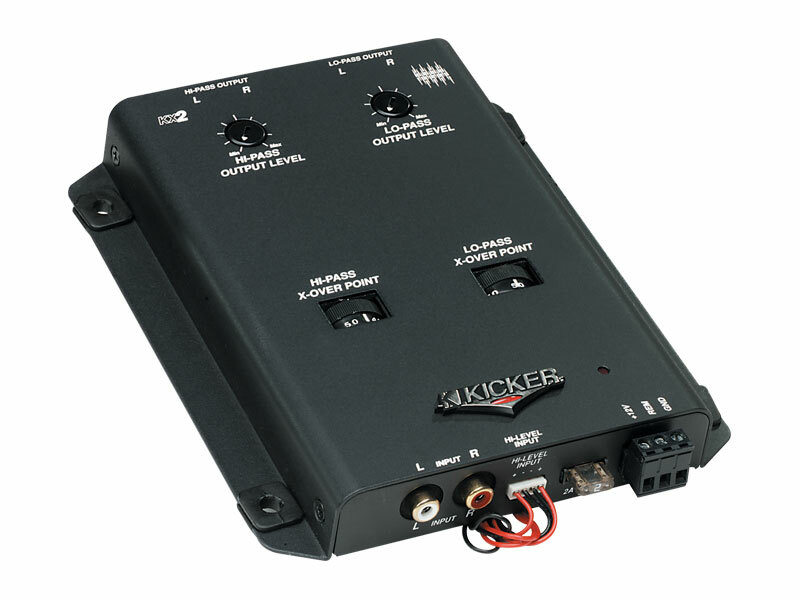 The 2-way KICKER KX2 has optional high (speaker level) and low (line level) stereo inputs for easy integration in any system. Ultra-low signal-to-noise ratios of >110dB and an ultra-slim chassis profile let this 18dB/octave active crossover do its job virtually unheard and unseen. The KX2 has low-pass and high-pass filters with variable crossover points from 40-300Hz.